I like having holidays on my own. There is no obligation to do anything, be anywhere or compromise with others on activities, restaurants and so on. I can nap when I choose, laze when I choose, explore when I choose. Of course, holidaying on one’s own is certainly easier in the absence of those hangers-on known as “partner” and “children”. I travelled around Europe on my own when I was 20 and loved the freedom of seeing those sights that interested me as well as the flexibility of changing plans at the drop of a hat. Meeting people and travelling together for a few days before bidding a fond adieu at a train station is more easily negotiated on one’s own and has the added bonus of keeping one’s travel companions interesting and new! 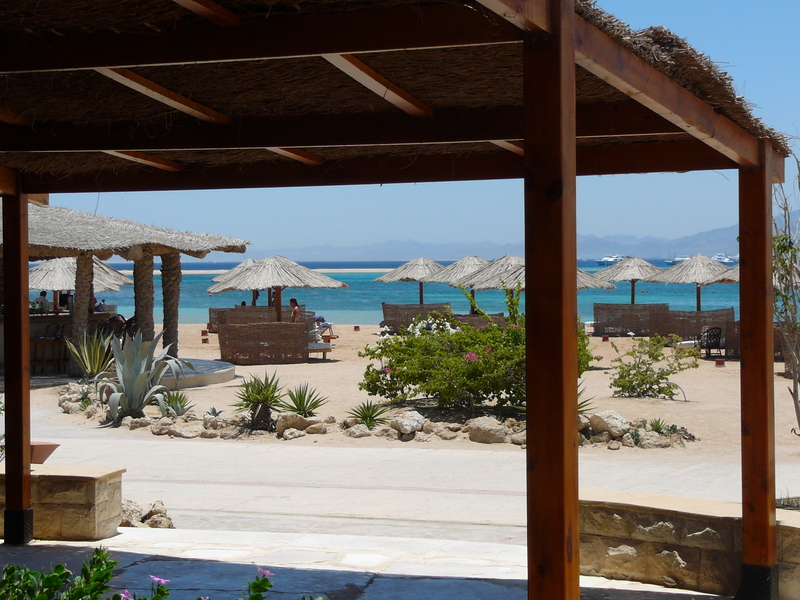 The most relaxing holiday I took on my own was at a resort on the Red Sea in Egypt. I’d been doing some work in Europe, had an unexpected week free when some meetings were cancelled and decided to take myself off to the sun before resuming my appointments. It was bliss. Sun, sand (though no surf), cocktails, wine, snorkelling, gorgeous meals, and blistering heat. It was the perfect, perfect getaway. I’ve been back. The other major holiday I have taken by myself was for a much more important reason. My gorgeous mother had selfishly died from cancer in early 2006 (did she not realise how much I need her?) and, given my lack of religious belief coupled with a tendency to hedge my bets, I decided that I needed to get as close to heaven as possible to say my last goodbye. And the closest place to heaven is probably the world’s highest peak, which was an impossible dream. So in the absence of any mountaineering skill or experience, I thought the next best thing would be to get as close as possible to Sagarmatha (Mt Everest). And so, in September 2006 I went to Nepal, to trek to the top of Mt Kala Patthar, a mountain that at around 5500m/18,000ft has a direct view of Mt Everest. As I’m not the fittest person in the world and, as I literally like to stop and smell the roses, I decided a group tour was not for me. I don’t want to be held up by anyone or be responsible for holding others up, and I wanted to be able to change or adjust my schedule based on my needs and preferences. As it was such an intensely emotional trip, I also didn’t want to be lumped together with the usual ragtag bunch you find on these sorts of tours. So I went alone. All the arrangements were made through NEAT, an excellent Kathmandu-based trekking company owned and run by a family friend. The trek was 15 days in total, eight days in and seven days out, and with an increase in elevation of just over 3km by the mid-point of the trek, it will be no surprise that the low oxygen environment made for hard going at times. The total distance from the scariest airport on earth – Lukla – to Kala Patthar is about 60km, so we covered around 120km in the fortnight. 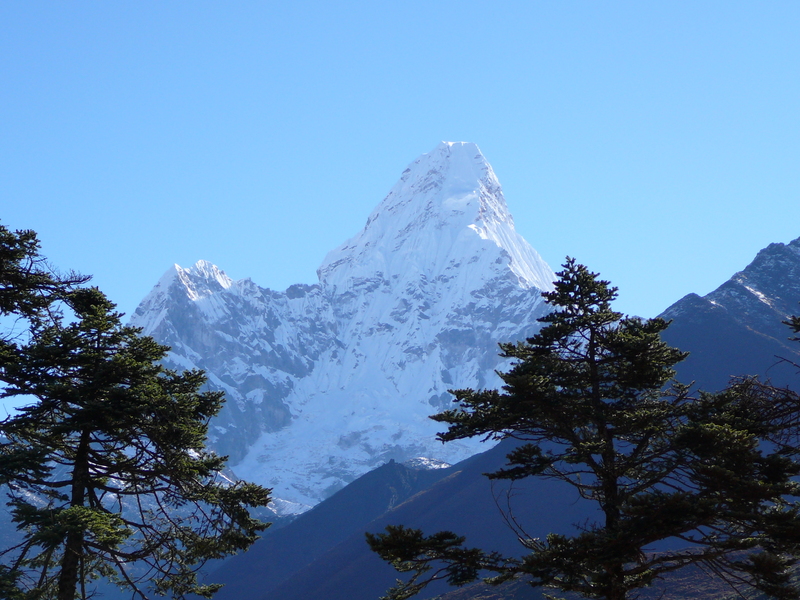 NEAT had arranged a guide – now compulsory in the Everest National Park – and at Lukla we hired a porter. Staying in small tea houses en route, it was far from the experiences of Mallory or Hillary, though not the lap of luxury either. I must say, I did appreciate having a bed each evening and a bowl of hot water to wash, particularly as the last shower was on day three in Namche Bazaar, and the next one 11 days later when I returned to Namche. I’m not one if those people who has to “rough it” in order to have an “authentic” travel experience. I had trekked previously in the Himalayas and had experienced altitude sickness at around 14,000 feet, so I was a little concerned what going higher might do, but aside from a loss of appetite, I was fine. The only mishap along the way was my brand new camera breaking down after three days. Not happy, Jan! We passed through small villages and market towns, gazed as increasingly impressive mountain scapes came into view, stopped at local museums, paid our respects at memorials for lost climbers, visited Buddhist shrines and a monastery at Tengboche, and ran into the occasional trekker (it was not yet formally trekking season). And we climbed stairs. Lots and lots of stairs. 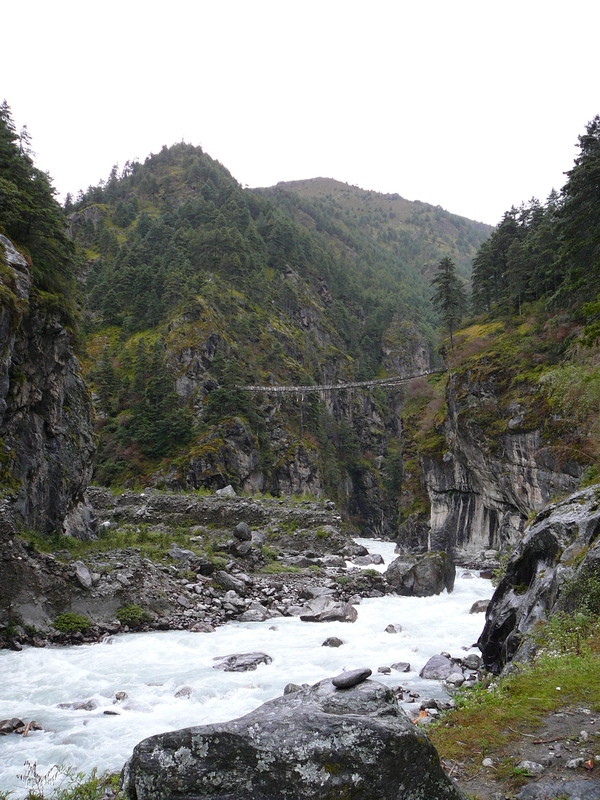 Okay, so he had a point – I do NOT like rope bridges! We reached Gorak Shep, the final town nestled at the base of Kala Patthar, the day before my birthday and set out before sunrise the next morning to reach the top of the mountain. Whilst it was hard dragging my weary bones out and up the mountain at such an hour, I was rewarded by the most remarkable view of the dawn breaking over Everest on my birthday. It was a perfectly clear morning and for around two hours I sat staring at the rooftop of the world, writing in my diary, hanging prayer flags for my mum and just experiencing the most majestic scene I will ever see. To top it all off, Purna, my guide, had brought a birthday card, slices of cake and a candle all the way from Kathmandu for a little birthday celebration! 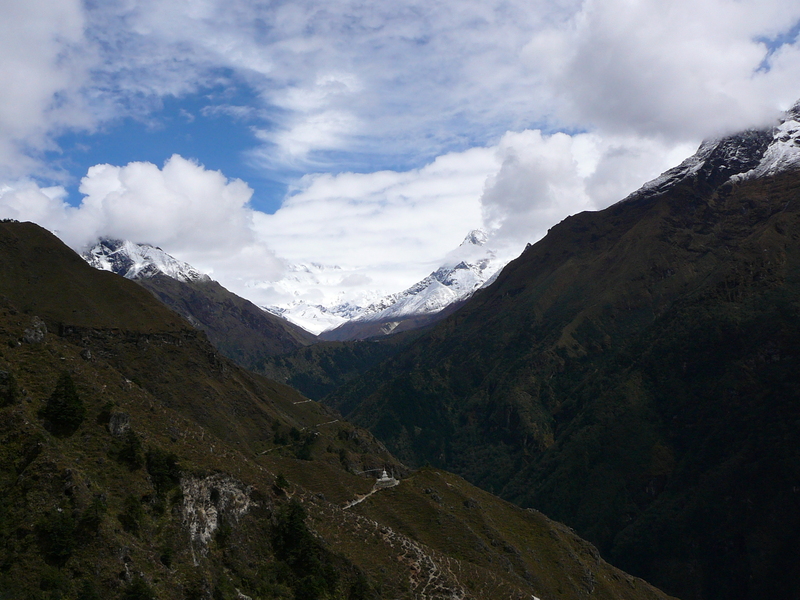 We watched the clouds roll in from the valleys below before returning to Gorak Shep for a pizza lunch. This trip was one of the greatest experiences of my life. It gave me time and space to grieve and to reflect on a remarkable life lost to this world. Wow Tara, what an incredible, bitter sweet trip that must have been. Brought tears to my eyes imagining how you must have felt on your birthday seeing Everest and thinking about your mum. Taking that trip was such a brave and beautiful thing to do – and it comes across in that story. Such a lovely way to honour your mum. I would love to think I would do something like that but I’m terrible at being alone so I think I would struggle. Thank you, Gill, Jane and Carolyn. It really was the most amazing experience and a real physical and emotional challenge. The time out from “real life” was critical at that point in my life, and I can’t imagine a better way to step aside from everything that was going on to find some clarity for myself. And my mum was a larger than life, flamboyant diva (so nothing at all like me!!). She left this world in a raging Brisbane thunderstorm and would have expected – no, demanded! – nothing less than an equally grand and majestic send-off for herself!